It began with a cryptic blip on the screen during “Ring of Honor Wrestling” episodes a couple months ago. Honor Nation immediately began buzzing about the image of a pulse on a heartbeat monitor and speculating as to what it could mean. 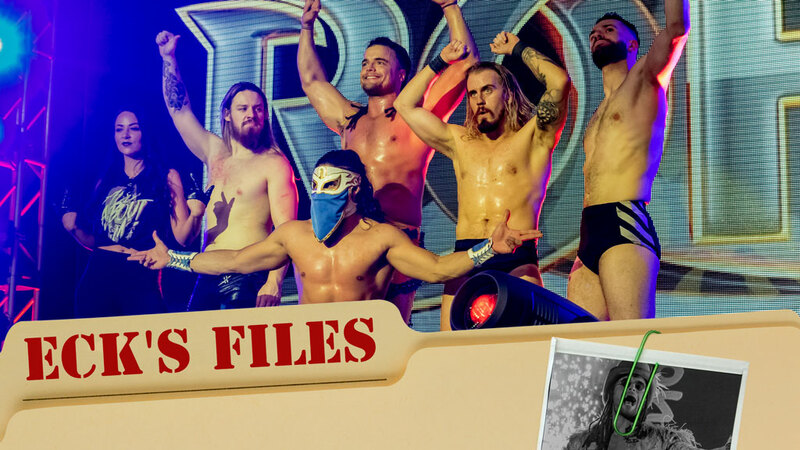 The answer was revealed at ROH’s recent international television taping in Atlanta when Juice Robinson introduced LifeBlood, a new faction dedicated to restoring honor to Ring of Honor consisting of Robinson, Tenille Dashwood, Bandido, Mark Haskins, “Hot Sauce” Tracy Williams and David Finlay. We learned LifeBlood’s mission statement and who its members are that night, but details of how the eclectic group was formed were unclear -- until now. Had it not been for Dashwood being injured in an attack by an unknown assailant backstage at the Death Before Dishonor pay-per-view in September, LifeBlood likely would not exist. As Dashwood sat at home recovering from shoulder surgery after the attack, a myriad of thoughts ran through her head. Obviously, she wanted to know who assaulted her and why, but she also thought about the reasons she signed with ROH in the first place. Three words came to mind: honor, respect and competition. 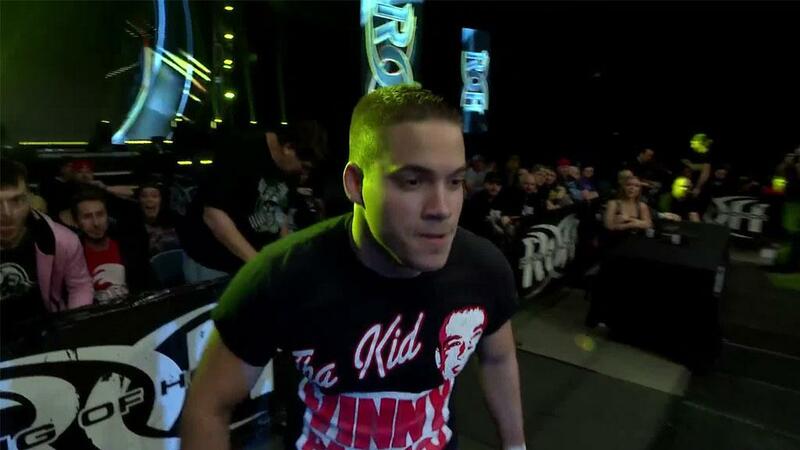 She certainly didn’t come to ROH to be the victim of a cowardly attack and put out of action. Dashwood came to the conclusion that what happened to her was symptomatic of the culture in ROH. Things needed to change and she wanted to be an agent of change. She knew she couldn’t do it alone, however, so she reached out to Robinson, who has been a friend of Dashwood’s going back to when they were both in Florida Championship Wrestling. Robinson had grown up as a fan of ROH and what it stood for, and he agreed that ROH had gotten away from its core principles. He shared Dashwood’s vision of what ROH should be and her passion for leading the movement. The two of them were even more determined to make a difference after seeing the controversial incident that took place at the 2300 Arena in Philadelphia last month. In one of the darkest moments in ROH history, Bully Ray, the Briscoes, Silas Young and Shane Taylor crashed The Elite’s in-ring farewell speech and proceeded to beat down The Elite, ROH World Champion Jay Lethal, Flip Gordon, Best Friends (Beretta and Chuckie T.), Colt Cabana and ring crew members. Robinson, a star with New Japan Pro-Wrestling who has competed on ROH shows on occasion the past few years, made a deal with ROH to appear much more frequently going forward. The next step was for Dashwood and Robinson to recruit like-minded individuals to join them. They found exactly what they were looking for in Atlanta. The night began with Robinson sitting in on commentary for a match between Williams and Finlay that will air on a future episode of “Ring of Honor Wrestling.” Robinson and Finlay are longtime friends and tag partners, so it was a given that Finlay would be a member of LifeBlood, but Robinson was so impressed with Williams’ in-ring ability and the honorable manner in which he conducted himself that he knew “Hot Sauce” needed to be in the mix. Robinson stayed on commentary for the next match, which was between Bandido and Mark Haskins. 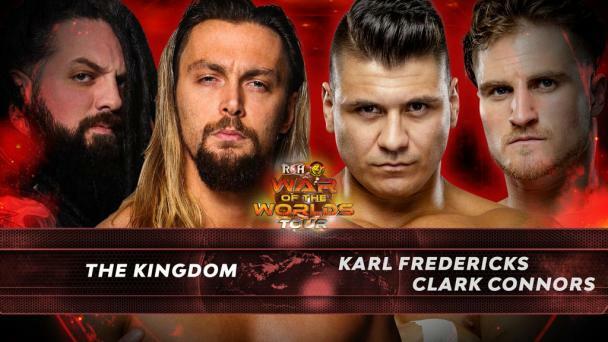 After watching the two newcomers to ROH tear the house down and adhere to the Code of Honor before and after the match, Robinson was convinced that they were perfect for LifeBlood. In Finlay, Williams, Bandido, and Haskins, Robinson saw four men who all possess traits that embody what ROH is all about: Finlay is a fourth-generation wrestler, and tradition and legacy have always been valued in ROH; Williams is an outstanding scientific wrestler; Bandido is an innovative high-flyer; and Haskins is an all-around grappler and submission specialist. Dashwood agreed with Robinson’s choices, and the two of them approached Williams, Bandido, and Haskins backstage and told them what they wanted to accomplish with LifeBlood and that they wanted them to be a part of it. Without hesitation, Williams, Bandido and Haskins said they were on board. Much like The Avengers, the members of LifeBlood don’t all look the same and they each bring something different to the group, but they have come together for a common cause. “Honor is real” is more than just a slogan to LifeBlood. It’s a concept they very much take to heart. Kevin Eck is a veteran pro wrestling journalist who has worked for The Baltimore Sun, WWE and WCW before joining ROHWrestling.com.